More firms here are offering ad hoc, flexible work arrangements, an important trend given the workforce call for work-life balance. 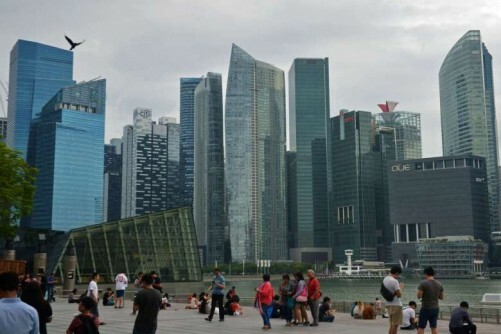 A Manpower Ministry report released on Monday showed that 77 per cent of firms are allowing employees to take unplanned time off or work from outside the office using IT on an ad hoc basis. It was 70 per cent last year, and 65 per cent in 2011. Flexi-work arrangements are arguably an important tool in retaining staff. A 2014 poll by The Straits Times and Employer Alliance found that one in two workers would consider leaving a firm if there is a lack of flexi-work arrangements. And a statistical study included in the ministry's report found that for each additional formal flexi-work arrangement offered by a firm, the resignation rate is cut by 0.13 percentage point. While more firms are offering such ad hoc arrangements, there has been no growth in firms offering formalised flexi-work arrangements. The proportion has stagnated at 47 per cent since 2014. Formal arrangements arguably offer more peace of mind, as employees are aware of their options. In Britain, for instance, employers can be taken to an employment tribunal if they fail to deal with requests for flexi-work arrangements. An employee has the legal right to make such a request if he has worked for the same employer for at least 26 weeks. That is not to say that Singapore should legislate this. But firms can adopt formalised flexi-work arrangements, and signal to their staff that they will not be disadvantaged in any way. This signal is important. The same ST poll, which involved 1,000 employees and 500 employers across industries, showed that structured or formalised flexi-work programmes were not popular with workers.They feared being disadvantaged in promotions, bonuses or even work assignments. Firms that voluntarily and proactively offer flexi-work arrangements, formalised and ad hoc, will do better in recruiting and retaining staff. In a tight labour environment, that certainly has to be an important consideration.